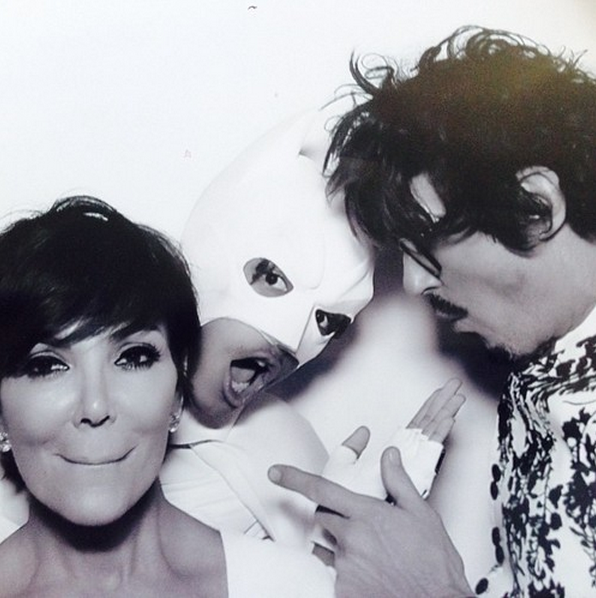 Will and Jada Pinkett-Smith's son Jaden wore a white Batman suit to Kim Kardashian's wedding. As details slowly begin to appear from yesterday's Westdashian nuptials, photos from the Kanyim photo booth have been shared on several celebrity Instagram accounts. 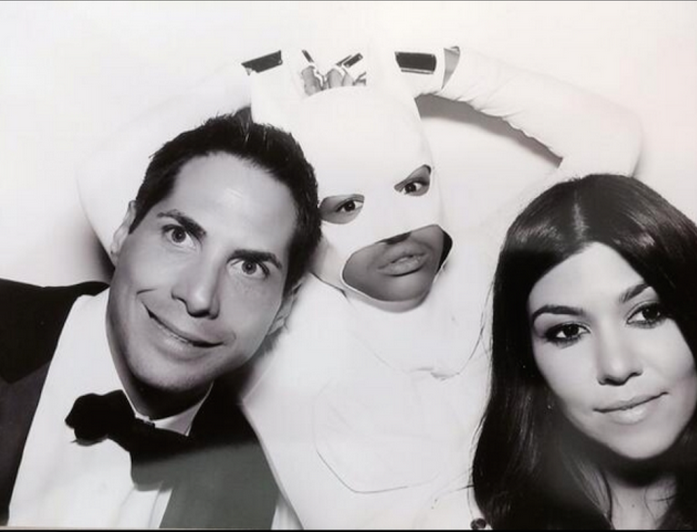 Jaden Smith, who was in attendance as a prophet to bless the oxygen particles surrounding the couple, wore a white Batman costume. Jay Z and Beyoncé might have snubbed their close, intimate pals' wedding for a little R&R in somewhere, anywhere, but there, but Jaden Smith took their place as most peacockingest teenlebrity. He is reportedly engaging in fire-water Zodiac courtship with K5 Kardashian, Kylie Jenner. I know he ain't 18 yet, so why did Will and Jada allow him to go to that wedding alone, and why would you let him dress himself like that at a wedding? I love the Smiths, but their kids are out of control, they need guidance. I still think Will & Jada are Scientologists. If that's true, that's why their kids are so crazy. Scientologists don't believe in disciplining children, or telling them "no." They believe that harms the child's psyche and causes mental illness and suffering. Seriously. They think things like autism and schizophrenia are just side effects of not letting your kids be themselves and do whatever they want. CPS come check on the Smiths again something ain't right in their house hold! So Jay and Bey did not show up.....As far as the Smith boy, I got nothing...yall said it all. "Jaden Smith, who was in attendance as a prophet to bless the oxygen particles surrounding the couple, wore a white Batman costume." Yikes. What a wanna be weirdo. I could see if he was still a little kid wanting to wear a costume, but he's too old for that kind of behavior by about 10 years or so.